Busy Beaver is a Chicago company that is close to our hearts as a fellow active supporter of the Coleman Center. 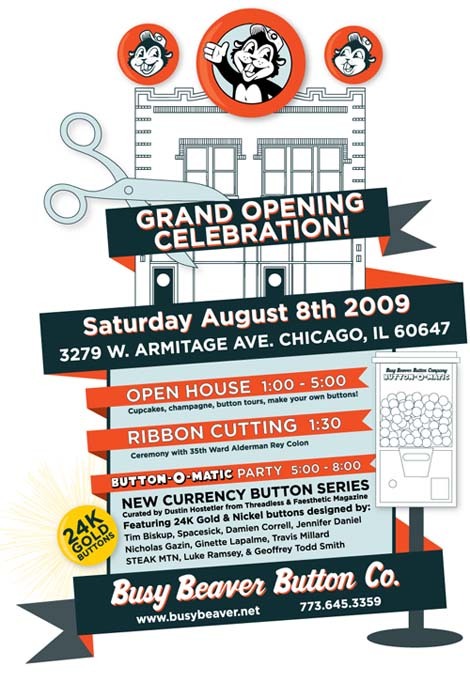 I recently got an email from Alex White that included this attractive invite to their grand opening. If you are in the market for some pretty cool buttons, give them a try. Congrats Busy Beaver on your new facility! If you wish, you may delete this comment once the link is fixed. Thanks Matt we updated that link!